Hyderabad, Andhra Pradesh, April 24, 2014: YuppTV today announced the appointment of Subroto Bhattacharya asVice President, Customer Acquisition effective 16thApril, 2014. As part of his new portfolio, Subroto will be responsible for managing the Customer acquisition for the company's business across geographies. Subroto Bhattacharya brings with him over two decades of valuable industry experience having worked in the industry's leading organizations as an executive responsible for building television and entertainment companies into top revenue performers in media, broadcasting sales and marketing in India, the United States, the United Kingdom, Russia, Canada, Caribbean and Latin America. 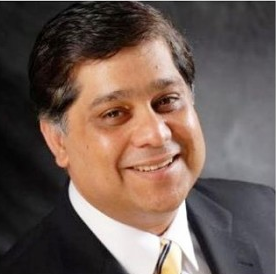 He has worked with Zee Network for over 15 years, joining the company as Group Head in India and climbing the corporate ladder to become Country Head for two key International markets, UK/Europe and Americas. He has contributed greatly towards taking businesses to new heights using his strengths as a creative, strategic thinker proficient in translating budgets, P&L reports, media planning and execution, research, legal contracts and comprehensive strategic plans to ensure consistent growth and success in global markets. "I am honored to accept the appointment of Vice President Global - Customer Acquisition at YuppTV. This is where the future of television lies. I am excited to join the team and look forward to contributing to the company's successes in the time to come", said Subroto Bhattacharya. Uday Reddy, Founder and CEO, YuppTV said, "I strongly believe that Subroto, with his extensive experience and strengths will be an asset to us at YuppTV. With his strategic contributions, we look forward to adding might to the company's marketing initiatives as we continue to revolutionize the manner in which television is consumed across the world. We welcome Subroto to the YuppTV family." YuppTV is headquartered in Atlanta, USA with offices in Hyderabad, India. It has around 140 employees. It has content partnerships with almost every TV channel in India with rights to all key geographies globally. YuppTV can be accessed through most devices including PC, iPhone, iPad, Android devices, Smart TV's Blue Ray Players and gaming consoles.